This article was originally posted on C2CSD.org. 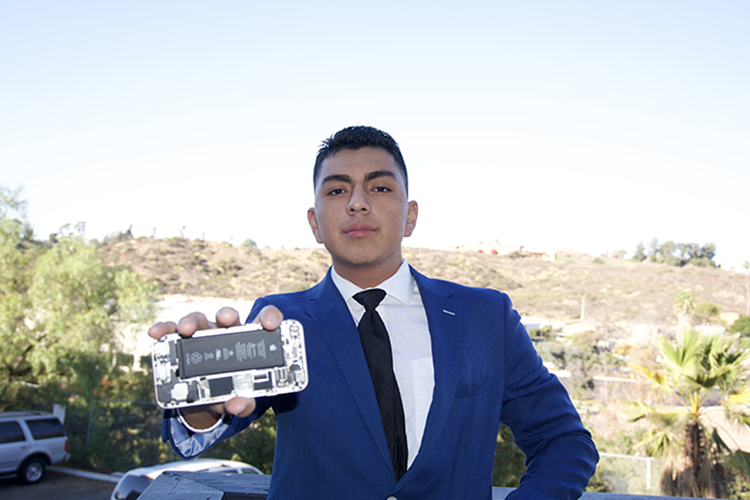 Growing up Jesus Jhair Gama describes himself as, “that kid who was called upon whenever there was a technical issue at home.” He enjoyed working with technology and was a self-taught repairman. In his early days of repairs, he immersed himself in information, watching videos and reading as much as possible about the mobile phone industry. Fascinated by the mobile phone market, Jesus brought on investors and started his own design and phone repair business, GamaTech. Unfortunately, bringing in investors left Jesus with a debt that his part-time position at Hollister Co. and GamaTech were unable to cover. He had also enrolled as a student at San Diego City College and had to find something that would help cover his educational expenses. And so, with some extra time on his hands during the summer, he decided to look for a second job. As a student at Lincoln High School, Jesus participated in a resume workshop lead by the San Diego Workforce Partnership’s CONNECT2Careers (C2C) program. He had positive memories about the trainers’ enthusiasm and he even put together his first resume during the workshop. “They had everything pretty much set up for you. I enjoyed working with them and they were very helpful. Help like that is unforgettable,” says Jesus. Unforgettable it was. 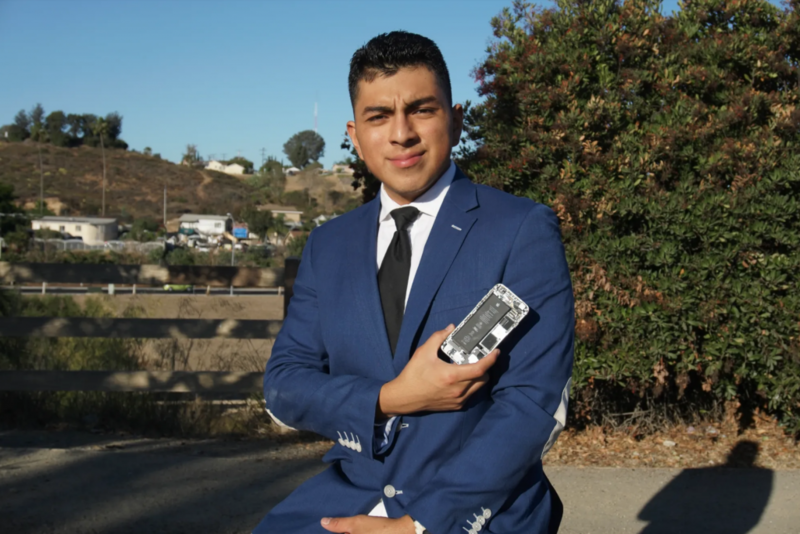 When it came time to begin his search for a second job, Jesus immediately thought of C2C and was excited to connect with thousands of employment opportunities in San Diego. After signing up, Jesus got in touch with his C2C peer job coach and focused on creating a resume suited to his job interests. He worked to integrate specific edits to his resume that highlighted relevant experiences and skills he obtained since attending that first C2C resume workshop. Each revision pushed Jesus closer to possessing a dynamic resume ready to be reviewed by potential employers. Jesus explored employment opportunities in the C2C portal in addition to applying for jobs at other independent companies. “CONNECT2Careers helped me create a great updated resume…I decided to take the resume they helped me create and went out searching for a job,” says Jesus. He was determined to find another position that could supplement his income and provide flexible scheduling, so he could continue working at Hollister Co. and on his business. His polished resume caught the interest from employers, leading to callbacks from various companies. Eventually, Jesus accepted a position at a local restaurant, which best suited his work needs and helped him pay back investors of GamaTech.